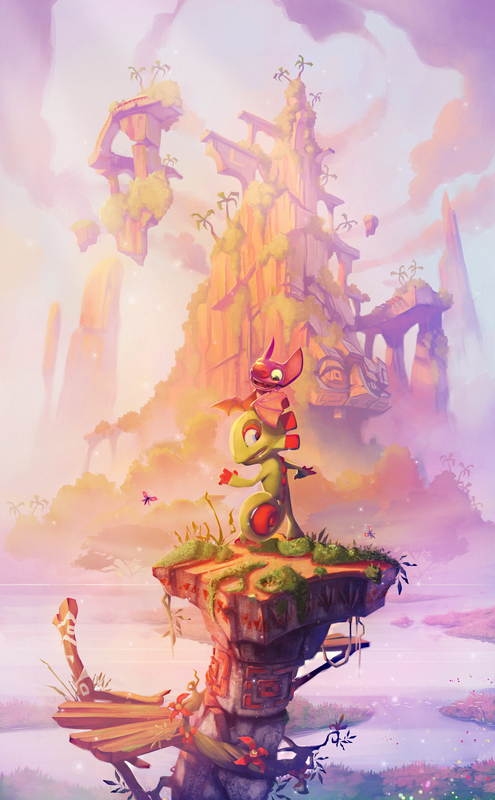 One of the most exciting titles in development is Playtonic’s Yooka-Laylee. The 3D platformer which has been created by some extremely talented ex-Rare developers looks very promising. The team provided a development update and also took time out to show off some glorious new artwork and a new non playable character. 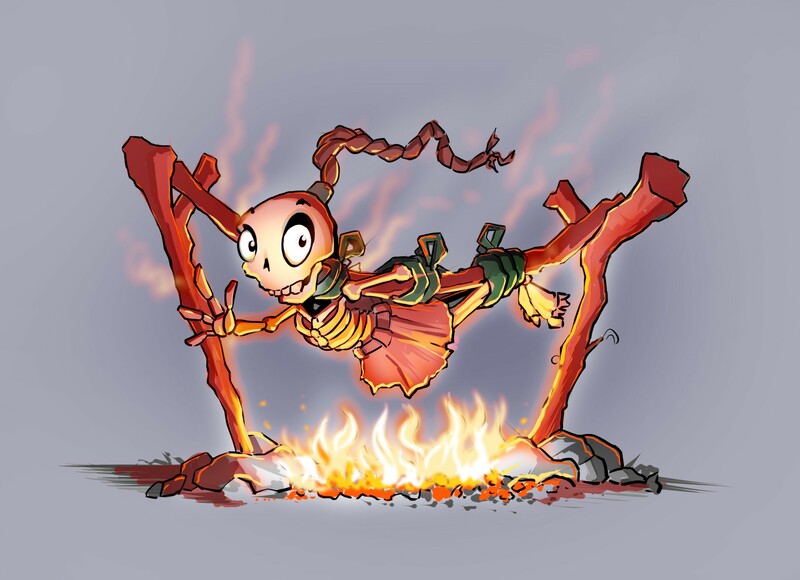 The non-playable character is a rather morbid new character who is a skeleton being spitroasted on a fire. The team says that the yet-to-be-named NPC will require Yooka and Laylee’s assistance on the very first world of the game. I love banjo, and this game looks even better. So getting it day one! It’s a female version of Mingy Jongo. I get the feeling that this will be the greatest platformer ever created. As long as they don’t take too long releasing this game. I hate it when developers hype thier game up, only to release it 3-4 years later. If it doesn’t release sometime in 2016, then I will consider this an epic fail… Nice try, but took too long. Hopefully that’s not the case! But a 2016 release would mean they only had little over a year of development time. To make a good game you usually need 2/3 years. Of course these are some REALLY talented devs, do they could probably finish it by next year. In fact, I’m pretty sure they slated it for next year. I hope they are thinking of funny and catchy ryhmes while this game is in R&D. “Here he is the fun begins my tricks and traps let’s see who wins.” “It’s not fair I wanted to win oh how I loved to be real thin. You take the prize on show while up the winning stairs I go.” “Get this wrong for Grunty’s sakes and a lava bath you will take. See these filty clothes I got, you will soon be washing a lot.” Dingpot Dingpot on the wall, who is the prettiest of all? Tooie thinks she is prettier than me, I’ll steal her looks and ugly shall be. I can’t believe you went in there now wash your hands tou filthy bear. Not it is time to see how much you know if little old me. That was a secret how did you know? Did my sister tell you so? Tooie says she she’s fine with me, if you go home I’ll set her free. Banjo I watch you play and can’t think of much to say. Grunty’s fate this cannot be so hurry Klungo rescue me. ” So hopefully these Rhymes will let Playtonic know Im the biggest fan of Banjo Kazooie and will think of adding funny rhymes during R&D if they dont do it how could this be? Your music skills are mighty fine so take this golden piece of mines. That’s right swim under there, icicy water takes up double air. What’s wrong Banjo is it too tough, let me know when you had enough?